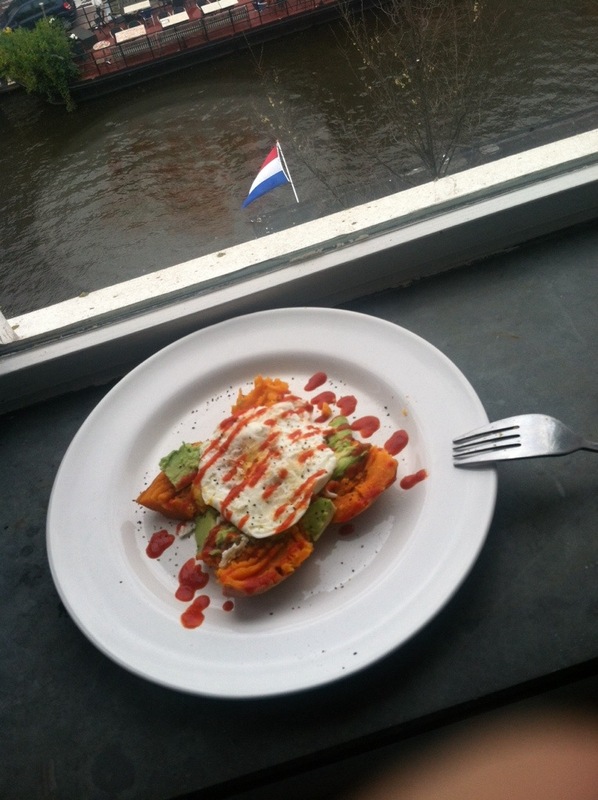 It’s been super lekker to have my own little kitchen space here in Amsterdam. I love cooking, and it’s definitely the cheapest way to eat, so I inevitably do a lot of it! Feast your eyes on some of my more impressive creations. 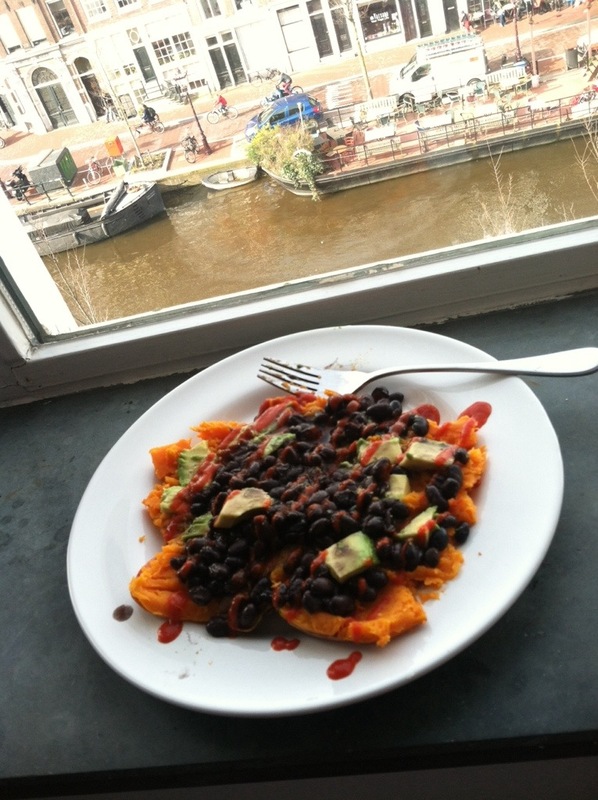 My staple lunch: Baked Sweet Potato, topped with Avocado, Black Beans and Sriracha. Ok, I didn't make this, but how good does doner look? 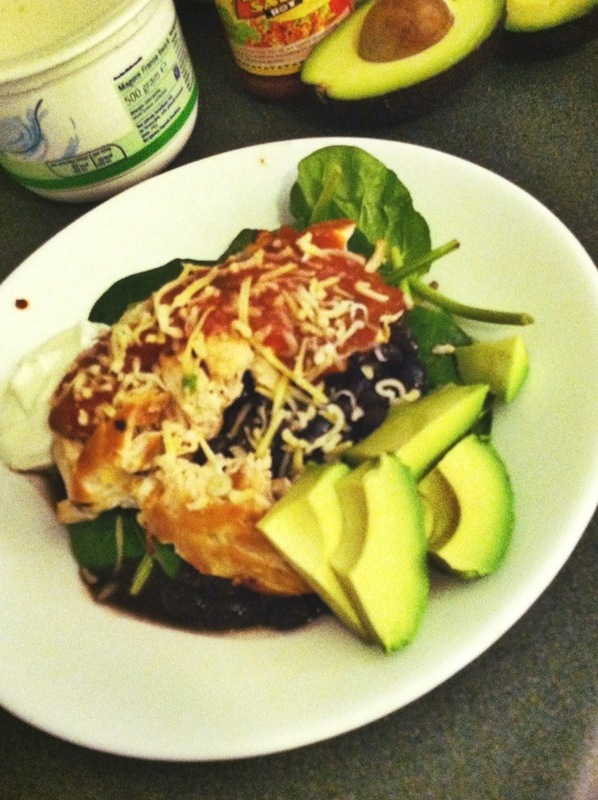 Deconstructed Burrito of Chicken Breast, Black Beans, Avocado, Salsa and Cheese on Spinach. "All I need in this life of sin is just me and my kitchen."